To any driving enthusiasts looking to relocate to that sceptered isle that is England, particularly with an interest in rubbing elbows with the Royals, there might be a job opening for you. The British Monarchy’s official website has just posted a listing stating that Buckingham Palace is looking for a new chauffeur. A lucky applicant will be selected to shuttle around Queen Elizabeth II herself, as well as members of the Royal Family, guests, and household officials. They’ll even get to pilot the Bentley State Limousine, an Arnage R-based custom coach given to The Queen for her golden jubilee in 2002. The claret-colored Queenmobile is powered by a twin-turbo 6.75-liter V8 that produces 400 horsepower and 616 pound-feet of torque. When things get hairy, the monocoque bodywork is armored, as is the glass and can even be sealed air-tight in case of a gas attack. Her garage is also packed with a collection of other cars equally as amazing (and purple), like an official state 1954 Land Rover and a whole pack of vintage Jaguars. 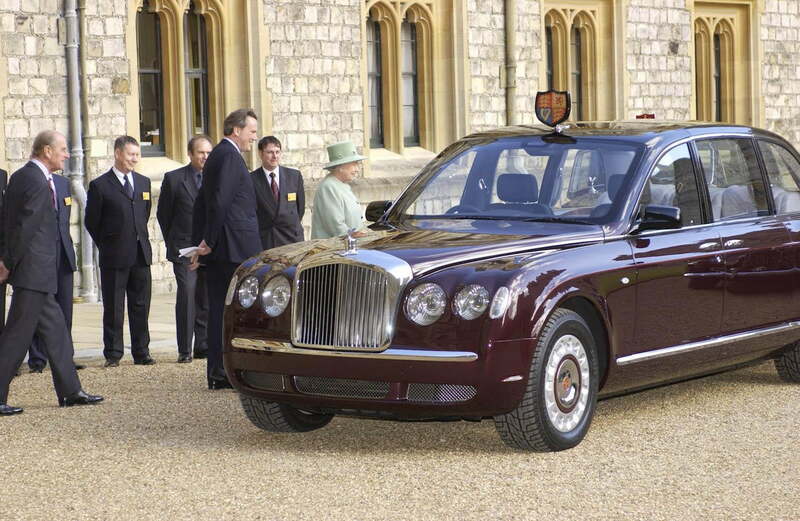 As the chauffeur, candidates will be required to maintain Her Majesty’s fleet at a high standard of presentation, must be able to plan efficient routes, and is someone who can be calm under pressure. Corgis can be vicious, after all. If being in the presence of her illustriousness herself isn’t enough of a reward in itself, The Royal Mews will be willing to pay an annual salary of £24,000 or roughly $37,000, part of which pays for your live-in accommodations. The deadline to apply is the 8th of March, so anyone interested better bone up on the metric system and get used to driving on the left as soon as possible.